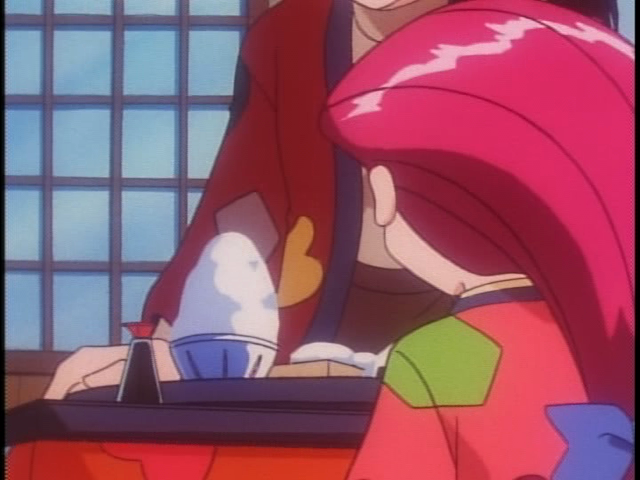 The Pokémon series canon is now contradictory concerning Jessie and James' backstories. 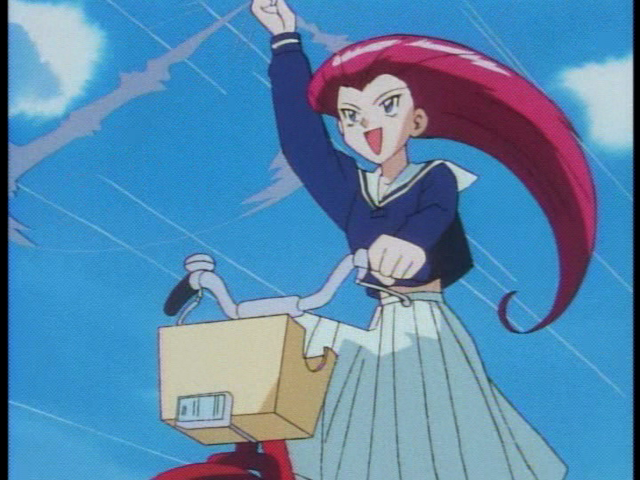 The Indigo League episode "The Bridge Bike Gang" depicts that Jessie and James first met in Pokémon Training school, failed out together, and ended up joining the Sunnytown bike gang, gaining the nicknames "Chainer Jessie/Big Jess" and "Trainer Jim/Little Jim." 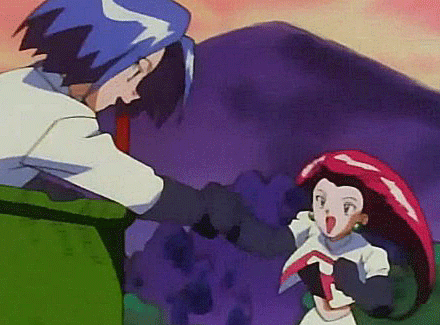 However, the more recent Pokémon Chronicles episode "Training Daze" shows that Jessie and James first met when Giovanni had them paired together as Team Rocket agents. Whichever way it happened, one thing is clear: both Jessie and James ended up believing that a criminal life was their only escape from bad circumstances. 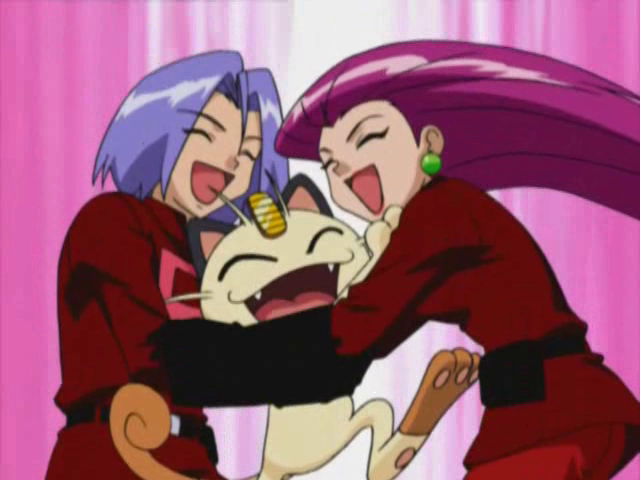 Jessie's mother, Miyamoto, pursued her own ambition to record the voice of the legendary Pokémon, Mew...and she never returned from this venture. This left Jessie alone in impoverished foster care (and often subsisting on "snow rolls," as pictured above). 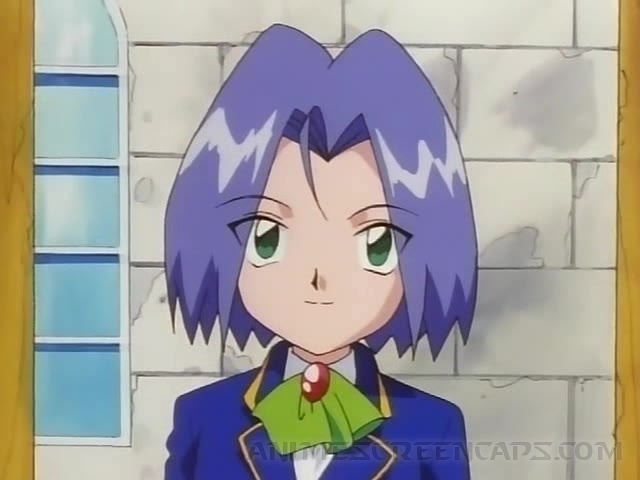 Jessie attempted to become a Pokémon nurse (like Nurse Joy), but couldn't enter the human nurse school and tried to complete Chansey nursing training instead. Not being a Chansey, however, she couldn't complete this training and failed to graduate; she tried Pokémon training school, with a similar result. After working intermittently as a model, weathergirl, and ninja, which were all unsuccessful attempts, Jessie finally tried being "bad" instead--she turned to a life of crime, feeling that it was the only opportunity left to her. 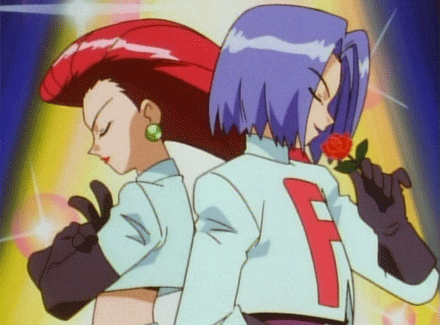 So, when Team Rocket began to recruit, Jessie jumped at the chance to be successful at last. More about Jessie? A pampered only child of millionaire parents, James grew up with very little financial hardship, but he found the pressures of upper-class society emotionally unbearable. Though he possessed much potential and many talents, he lacked the direction and ambition his wealthy parents wanted him to have--and he also lacked the pliability they wanted in a son. His arranged marriage to the dominating Jessebelle (a dead ringer for Jessie!) was the last straw for him, and he ran away, leaving behind unbelievable riches (and ironclad security) to determine his own destiny. 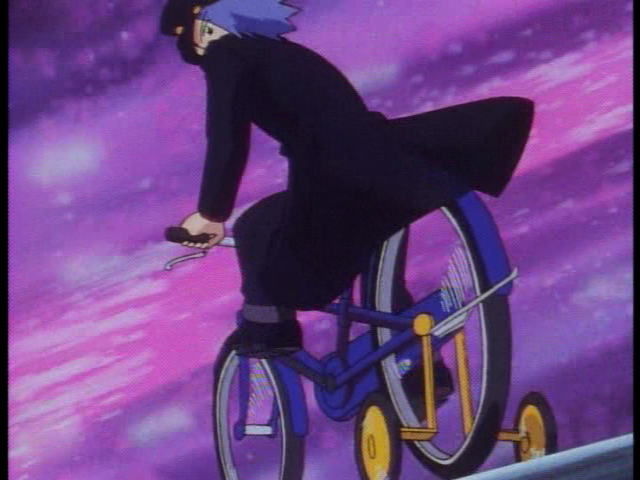 After an indeterminate time, likely struggling to support himself and stay in hiding from his family, James finally joined Team Rocket, seeming to prefer the engineered safety of the shady crime organization. More about James?